SSA 28-2014 aims to promote the development, redevelopment, operation, and promotion of the Six Corners Shopping District for the economic benefit of all businesses and property owners within the SSA in alignment with the Six Corners Master Plan. The SSA Commission will focus on advocacy for the owners of property and businesses within the SSA, functioning as one unified voice. The SSA will be promoted as an exciting place to live, learn, work, and play through collaborative efforts that involve area businesses, public and private institutions and property owners. Six Corners Association strives to enhance the appearance of SSA 28 through beautification efforts. This includes maintaining landscaping, adding public art and installing holiday decorations. In order to attract customers and promote the Six Corners Community, Six Corners Association contracts professional marketing and PR services that any SSA business may use. Additionally, we engage the thousands of local residents through weekly newsletters, active social media platforms, and promotional campaigns. 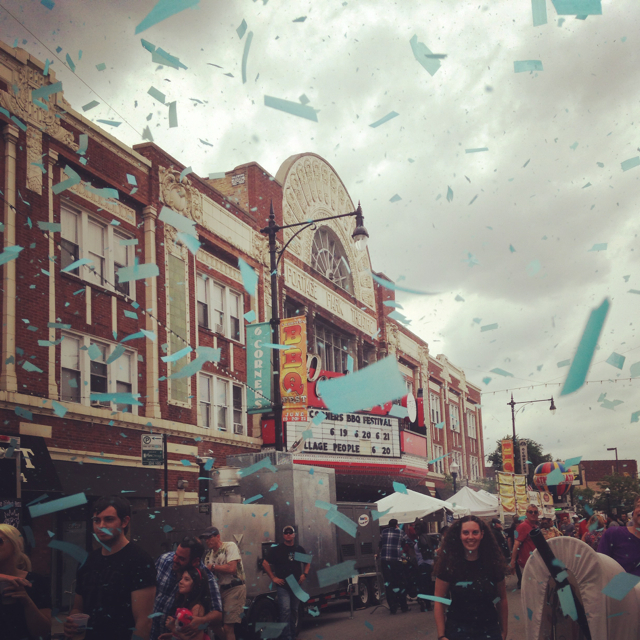 Six Corners Association hosts 20+ unique events annually that cultivate place and create significance in experience. These events help to collaboratively foster a sense of community that yields positive growth for local businesses and the larger neighborhood. To strengthen the beautification and economic vitality efforts of the shopping district, Six Corners Association offers rebates to cover up to 50% of costs for the renovation, enhancement, or improvement of building facades. To enhance safety and security, Six Corners Association offers rebates to cover up to 50% of costs for the purchase and/or installation of security cameras. Additionally, we work with Hands to Help Ministries to provide outreach and case management services to panhandlers and those experiencing homelessness in 60641. Six Corners Association incentivizes eligible SSA businesses to install sidewalk cafes by offering rebates for the sidewalk cafe permit fee, up to $600. Six Corners Association maintains clean, attractive sidewalks through weekly litter pick up, graffiti removal, and sidewalk sweeping. Sidewalk power washing and storefront window washing are provided on a bi-annual basis and snow removal and salting services are contracted for snow occurrences over 2". SBIF grants enhance Chicago's commercial corridors by providing financial assistance to small businesses for building improvements. Six Corners Associations provides applicants with technical assistance. Six Corners Association is a bike friendly shopping district that provides amenities to cyclists so that these customers can access Six Corners using safe, sustainable, alternative modes of transit. Meetings are held at Portage Arts Lofts, 4041 N. Milwaukee Ave. at 1:30p unless otherwise noted. They are open to the public.